Dr. Manfred Simon was born in Cologne, Germany in 1928. 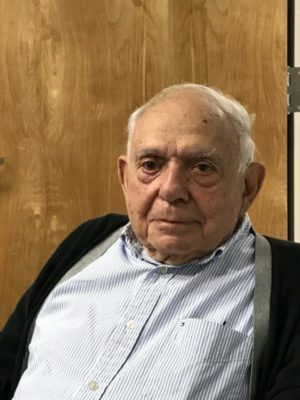 As a young boy, he was a witness to the development of the Nazi anti-Semitic surge of the 1930s. After attending a public school, he was forced to attend a Jewish day school not long after the Nazis came to power. His father began working on plans as early as 1936 to escape Germany but he soon learned how difficult and expensive a process it would be. Even with the help of relatives who lived only 10 miles from the Dutch border, it took over two years to safely leave Germany. After a brief stay in London, Dr. Simon, his mother and his father sailed to the United States on board the USS Harding on March 13, 1939. Upon arrival, his family settled in Washington Heights. Dr. Simon attended medical school and became a gastroenterologist. He currently lives with his wife, Susanne, in Edgemont. They have three sons and seven grandchildren.